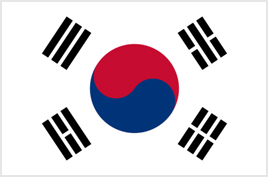 Korea is situated on the Korean Peninsula, which spans 1,100 kilometers north to south. The Korean Peninsula lies on the northeastern section of the Asian continent, where Korean waters are joined by the western-most parts of the Pacific. The peninsula shares its northern border with China and Russia. To its east is the East Sea, beyond which neighboring Japan lies. In addition to the mainland peninsula, Korea includes some 3,000 islands. Located in a temperate zone and blessed with four distinct seasons, Korea, once known as the "Land of the Morning Calm", is a country that boasts a rapidly growing economy that combines the old and the new. Being a fascinating country with 5,000 years of history, Korea blends harmoniously its rich heritage with new advances and modernizations. The design symbolizes the principles of the yin and yang forces in Asian philosophy. The red and blue circle respectively represents the proactive cosmic forces of the yang and yin. The two forces together embody the concepts of continual movement, balance and harmony that characterize the sphere of infinity. The trigrams on each corner of the rectangular flag symbolize each of the four universal element: heaven, earth, water and fire. 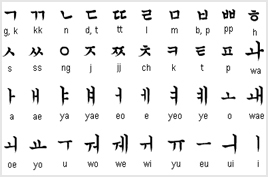 Hangeul, the Korean alphabet, refers to the series of letters that form syllables with which the Korean language is written. The quality of Hangeul has been extensively studied and praised by experts worldwide. In 1989, UNESCO initiated the King Sejong Literacy Prize, which is awarded to an individual or group, which contributes to the crusade against illiteracy. In addition, UNESCO selected the Hunminjungeum Explanation Book as a Memory of the World in 1997. Hanbok, a type of traditional Korean clothing, is now only worn during national holidays or weddings. The beauty of hanbok is in its clean, artistic lines and its vibrant colors. Hanboks are custom-made to enhance beauty and minimize flaws; for example, hanbok collars can be altered to make the wearer's neck look longer. The hanbok must be worn with proper underclothes and accessories, and is made even more beautiful when the wearer practices traditional etiquette. 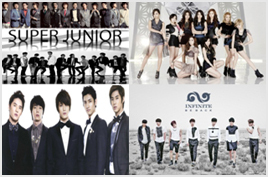 Hallyu, or Korean Wave, refers to the Korean pop culture phenomenon that is gaining great popularity around the world. It began with Korean dramas and movies gaining popularity in Asia, but in recent years, Korean pop music (K-pop music) has become the world's hottest music industry. 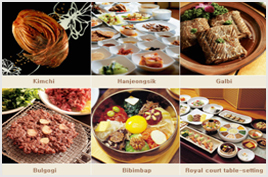 If in Korea, be sure to visit sets and filming locations and also experience diverse aspects of the Korean pop culture. To open a new window to view the video, please click the title of each video. * To watch the video in full screen, please click image on the lower right corner of the viewing screen.